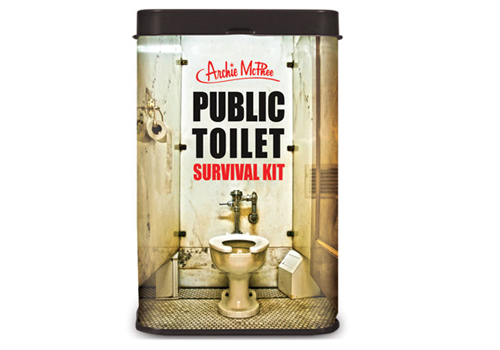 Make it out of hell alive and live to tell the story with a Public Toilet Survival Kit. Comes with everything you need to maintain cleanliness in the wild- whether it’s the dense jungles of Starbucks, the thick swamps of Barnes and Nobles or the desolate lands of the roadside gas station. Each kit has a toilet seat cover, two antiseptic wipes and one pair of latex-free disposable gloves. Be safe and sanitary out there!